Released on 24 September 2012, on DVD and Blu-ray. This is a documentary about Freddie's life, which concentrates on his solo projects and life outside of the world of Queen. The 'Mr Bad Guy', 'The Great Pretender' and 'Barcelona' projects are all covered, with the focus on 'Barcelona', but unfortunately the 'Time' musical is only briefly mentioned and 'Love Kills' is not covered at all. Naturally the documentary features extensive interviews with Freddie, and interviews with Brian May, Roger Taylor, Montserrat Caballe, manager Jim Beach, ex-manager John Reid, producers Mack and David Richards, pianist Mike Moran, personal assistant Peter Freestone, writer Tim Rice, journalists David Wigg and Paul Gambuccini, comedian Matt Lucas, composer David Arnold, and a TV interview with Freddie's partner Jim Hutton. The documentary features previously unseen interviews, promo video out-takes, live footage and photographs, footage of Freddie with the Royal Ballet in 1979, and short excerpts of the Queen track 'Let Me Live', recorded with Rod Stewart, and the Freddie track 'There Must Be More To Life Than This' with Michael Jackson. On the DVD release, the main menu features an excerpt of 'The Great Pretender' when it first loads, with a slightly different version on subsequent reloads. It has links down the right hand side to play the documentary (title 2) and links to sub-menus for scene selection, bonus material, and subtitles, which play excerpts of the later demo of 'The Golden Boy', single version of 'Love Kills' and the 'Special Edition' version of 'Exercises In Free Love' respectively. Subtitles are available in English, German, Spanish, French, or off. The Blu-ray release is almost identical, but the menu is a horizontal bar towards the bottom of the screen. The scene selection, bonus features, and subtitles all have the same options as the DVD, but appear as pop-up menus, rather than separate sub-menus. 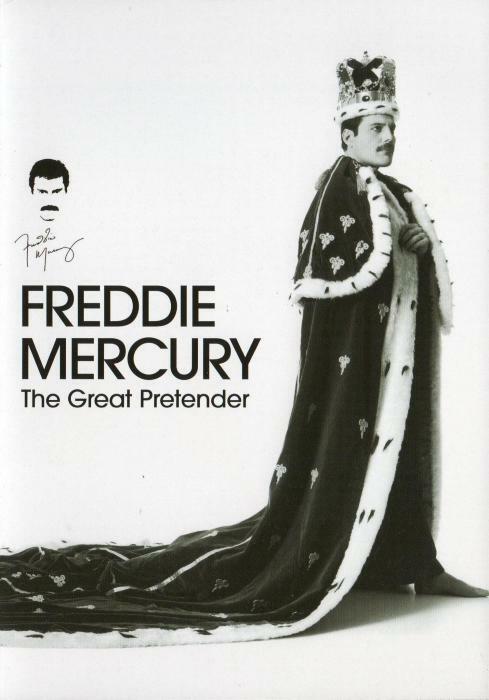 The menu plays the full single version of 'The Great Pretender', rather than an edit. The first bonus feature is 'Freddie Mercury Goes Solo' (title 3), a 7 minute interview with David Wigg which was recorded in Munich in 1985. As the title suggests, Freddie discusses his solo album 'Mr Bad Guy', with excerpts from a number of album tracks, and a full transcription can be found on the David Wigg Interviews page. The other bonus features are 'Extended Interview with Montserrat Caballe' (title 4), a 7 minute interview in which she discusses meeting and working with Freddie, and 'Making Barcelona Special Edition 2012' (title 5), a 5 minute feature about the album, featuring interviews with orchestrator Stuart Morley, Jim Beach and Montserrat Caballe, footage of the recording sessions, and the 'live' performance at the La Nit Festival. Of the remaining titles, title 1 seems to be used in the menus and title 6 includes the Eagle Rock logo and copyright notice, which is shown when the main documentary completes. The DVD and Blu-ray feature an identical documentary and bonus features, the only key difference is how the menus work. The documentary won a joint award at the 2013 Emmy Awards in the 'Arts Programming' category, tieing with a South Korean film, 'Hello Orchestra'. Director Rhys Thomas had previously produced the 2011 Queen documentary 'Days Of Our Lives' and wrote and starred in the 2002 BBC comedy 'Fun At The Funeral Parlour' (which featured a theme tune by Brian), and went on to write and direct the 2014-2016 comedy 'Brian Pern' (which featured occasional interviews with Roger and several Queen references), as well as producing several other Queen DVD's. . The TV version is edited down to 64 minutes and was broadcast on BBC One on 16 October 2012 at 10:35pm as part of the 'Imagine' series; it is essentially the same but makes a number of edits throughout the documentary, and restructures some elements. It begins with an introduction by Alan Yentob, filmed in front of the Dominion Theatre, with an excerpt of the Freddie version of 'Exercises In Free Love'. It then has a preview of the documentary, with various short clips from throughout the programme. The TV version loses the elements highlighted in blue, but adds those in red. Chapter 6 - How Can I Go On?